A new report from CBRE says that current growth forecasts for logistic rentals, higher land values, and increasing construction costs are creating ideal conditions for the rise of multistorey warehousing in Australia, reports The Australian. The report entitled On the Up and Up: The Rise of Multistorey Warehousing predicts the first multistorey warehouse developments—already common in places like Hong Kong and Singapore—will become feasible in land-constrained Australian markets like South Sydney by 2020 and inner Melbourne by 2023. CBRE’s head of retail and logistics research, Kate Bailey, said occupiers’ willingness to pay more for prime locations would mean development of the multi-level spaces could coming to the East Coast sooner than had been expected. “We forecast an additional 350,000 square metres of distribution space will be required annually in Australia to service growth in e-commerce, with south Sydney and inner Melbourne to be among the highest-growing areas in the country,” Ms Bailey said. Industry sources confirmed preliminary discussions around sites in Sydney and Melbourne for multi-storey projects were already underway, notes the AFR. Such projects would be driven by the growth of ecommerce and the need to be able to deliver goods bought online to buyers in the major urban areas within a few hours, said Greg Goodman, whose Goodman Group’s has already built multi-level warehouses in Asia. “Scarcity of sites in infill areas and growing competition from other uses is driving intensification of existing properties into multi-storey and higher value assets. This continues to be a theme across our portfolio,” Mr Goodman said. “Occupiers are growing increasingly concerned with securing locations in close proximity to their customer base in order to minimise costs and commit to faster delivery timelines,” Director of CBRE’s Supply Chain Advisory business, Christine Miller, said. “Tenants are increasingly prioritising location over rent, with occupancy spend at just 5 per cent of total supply chain costs and transport expenses making up 50 per cent of total supply chain costs—almost a third of which is in the last mile. Industrial land values in inner Melbourne and south Sydney have increased 90.9 per cent and 67.3 per cent respectively over the past five years. In South Sydney, for example, industrial rents have surged past $200 a square metre compared with an average of about $120 per square metre as more older-style facilities are converted to apartments and data centres. “With growth well above rental values, developer margins have eroded – driving developer interest in multi-storey warehousing,” Ms Bailey said. 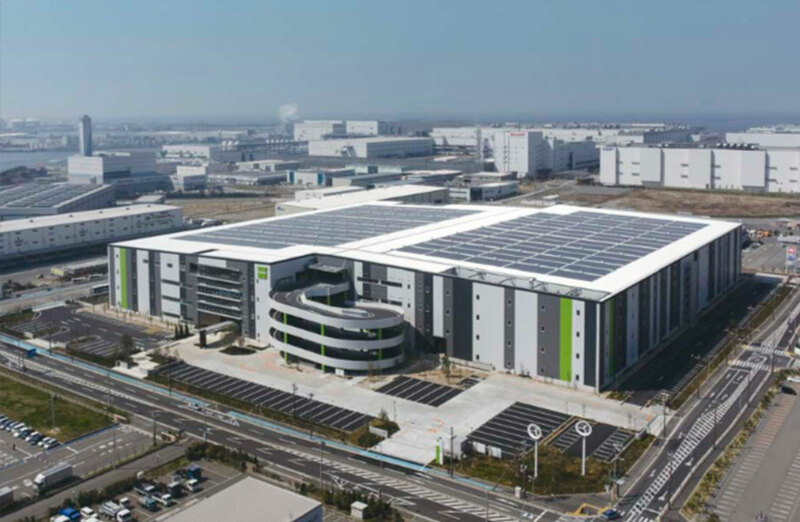 Many Asian cities where available land is limited and site costs are high—such as Tokyo, Hong Kong and Singapore—already have established multistorey warehouse networks, the CBRE report said. “Generally, the higher the underlying land value, the taller the warehouses,” said CBRE. “For example, land values in Hong Kong average over $US2,600 ($3674) per square metre and developments average 12 floors, while land values in Tier One cities in China average $US161 per square metre and developments average two floors. On the other hand, construction costs are significantly higher. Quoting Rawlinsons Australian Construction Handbook, CBRE notes the average cost to construct a multistorey warehouse of up to six levels is approximately 79 per cent higher per square metre of building area than for an average single-storey, high-bay, precast wall structure in Melbourne.